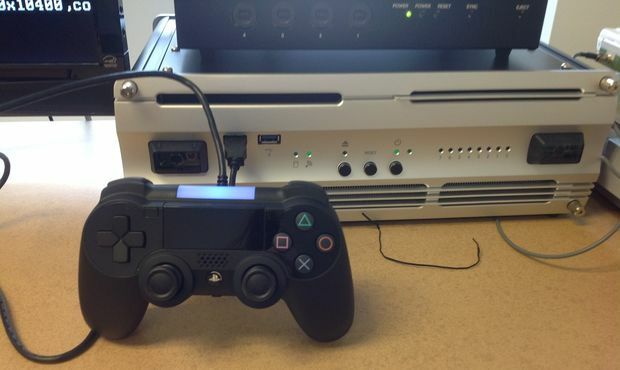 Yesterday, a picture of the PS4 controller prototype was unveiled. 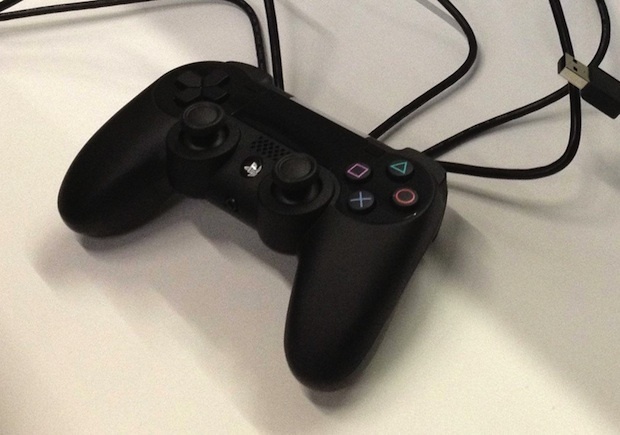 As seen in the picture, the controller is generally the same as the classic Dualshock design, but this time around they have added a touchpad. Not only did they add the touch-pad, but it appears this touch-pad replaced the start and select buttons in the middle of the controller. This possibly means that we'll have to use the touchpad as an alternative - which could be problematic. Unfortunately we cannot see the triggers at the back too clearly, but they seen to be the same as the Dualshock's - which will displease many fans. To me this controller looks pretty much the same, and I am a bit surprised it wasn't changed as much as I expected it to be. One thing to remember is that these are just prototypes and are subject to change. So hopefully the final versions will look smoother, and most importantly have better looking analog sticks. One interesting thing with the picture directly above is the jack for headphones in the bottom. In previous controllers there was no jack for your headset and the microphone plugged into the Ps3 itself, but this time they went for a different approach similar to the xbox, which is very interesting.